We test the touchscreen’s performance in different scenarios in order to develop what we call “profiles” for our users. Basically, these profiles describe certain use cases, like whether they’re using a stylus or their finger, whether they prefer to tap lightly on the touchscreen or more firmly, whether the outside temperature is hot or cold, etc. 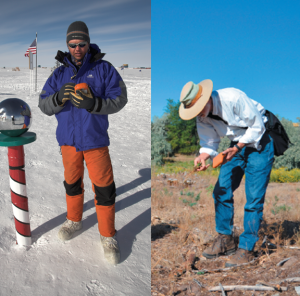 For example, one user may collect data during winter in Alaska, and they wear gloves while they work, so they use a stylus, rather than their finger. The profiles we’re developing allow this user to specify that they’re working in cold temperatures and using a stylus. The touchscreen will then adjust for those conditions in order to provide the best performance possible. We also plan to further expand these profiles to accommodate for more use cases, such as when the Archer 2 is used in rainy vs. dry conditions. We hope to provide the best touchscreen performance possible by providing these customized settings—or profiles—for our users. Learn more about the Archer 2 on our website or by calling us at 435.753.1881. For the past ten years, I’ve worked in several departments at Juniper Systems, from service and support to sales, and lastly to product management. I’m the Product Manager over our handhelds, and I can certainly say that I’m passionate about what I do. I am completely fascinated by new technology and how it can be applied to mobile data collection for enterprise and rugged environments. Outside of work, I enjoy coaching my sons’ Little League sports and attending college and professional sports events (Go Aggies!). I love taking my kids up to the family ranch on the weekends and playing in the dirt, riding horses and ATVs, and teaching them about the value of hard work.